 Virtual Hideout Manchester is a virtual reality and gaming centre located in central Manchester. Never experienced VR? This is your chance. From novices to experienced gamers we cater to all. Experiences we have include Star Wars, Fantastic Beasts, horror games and sporting titles on the HTC Vive, Oculus Rift and Playstation systems. Click book now to book your experience today. Alternatively go to experience to see what's available, click on about for the answers to the most commonly asked questions.